Reshipping packages of hazardous materials or dangerous goods is not an uncommon practice in the business of transportation. You can even reship packaged hazardous materials if needed. However, it is not as simple as putting a new address marking and sending it out. 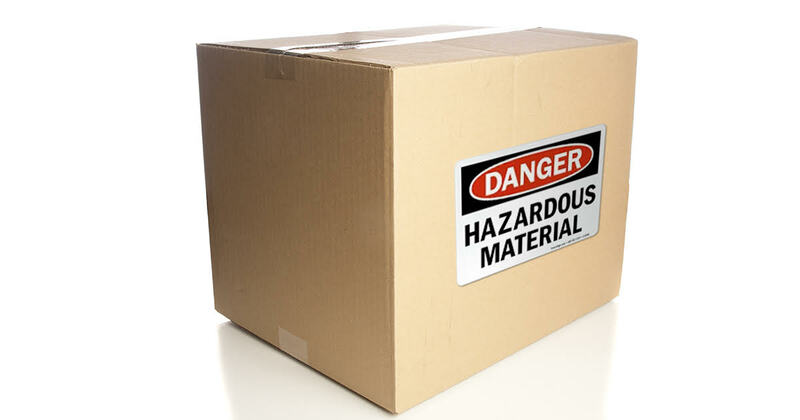 Hazmat employees must take care to follow the relevant federal and international regulations when shipping packages containing dangerous goods. Naturally, the same rules apply to those reshipping packaged hazardous materials. Here is some information that hazmat employees must keep in mind when they need to reship hazardous materials. When you purchase an item online, you may send it back to the vendor if you find that something is wrong. An example could be a set of dishes that somehow broke or shattered at some point in the shipping process. When you open the box, the plates and bowls are chipped and broken, and certainly not worth what you paid. You may ask for a refund, or you may return it in exchange for dishes that are not broken. Damaged packages containing hazardous materials cannot be treated in the same manner. Shattered dishes do not put the lives of shipping employees and civilians at serious risk of injury, health issues, or worse. A box containing broken glass does not present an environmental hazard. However hazardous materials must be treated differently and seriously, whether you are shipping them, receiving them, and/or reshipping them. With that said, reshipping packaged hazardous materials may not be as simple as resealing it and putting a new destination marking. As with any package containing dangerous goods, hazmat employees must ensure that these packages comply with hazardous materials regulations and closure instructions as outlined in 49 CFR 173.22(a)(4). It is the shipper’s responsibility to maintain a copy of the manufacturer’s notification, including closure instructions unless that information is permanently embossed or printed on the packaging. Compliance means they must determine, using the appropriate regulations respective to the mode of transport and determine the proper packaging methods necessary for the materials at hand. Once they have this knowledge on hand, hazmat shippers must identify exactly how to handle these goods. (People should take care to evaluate the damage in depth – it may not always be as obvious as a gaping hole.) Finally, before an offeror can reship, they must resolve these problems so that the package now complies with regulations. Even if a package is not damaged, same regulations will apply. Sometimes, packages become compromised not because of accidents during transportation, but because of the first shipper’s failures to adhere to the relevant regulations. However, while the mistakes may not be yours, you still bear the responsibility for correcting them. It is up to all of us to maintain safety throughout the transportation process. Even if the original offeror fails to abide by regulations properly, each person must still do all that they can to prevent an incident which could result in an emergency response or fines. It is the responsibility of all hazmat employees to know how hazardous materials must be packaged, whether for shipping or reshipping. That is why federal and international laws and regulations require that anyone involved in the transportation process must undergo training – both initial and recurrent. Hazmat University provides online training programs for shipping by ground, shipping by air, shipping by vessel, and multimodal shipping. Start your training immediately.